Thought I’d give you lot the chance of a cheap runaround before it hits eBay. 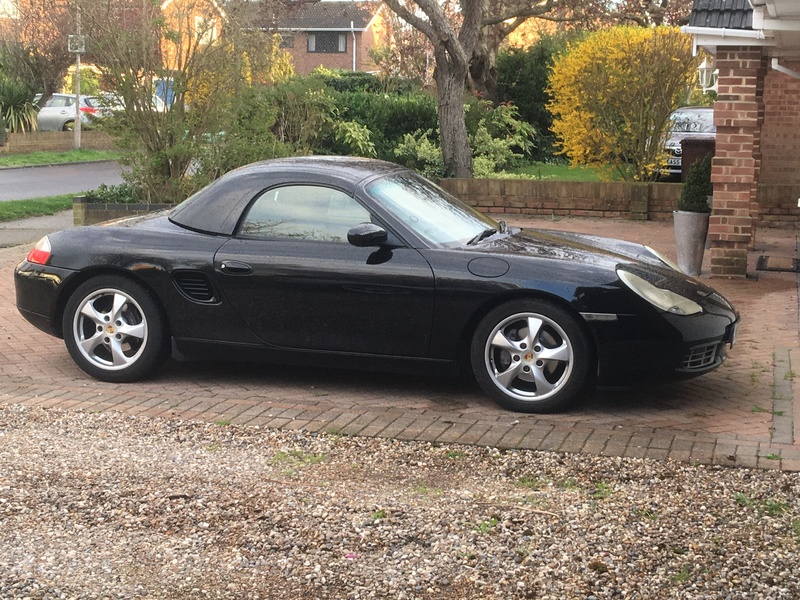 Story is; my next door neighbour (older lady), loves her 2.7 manual boxster 2002 in black with hardtop. Gets pulled out on at a roundabout and damaged the sill on the passengers side (any good dent man would get it out - it’s seriously minor). 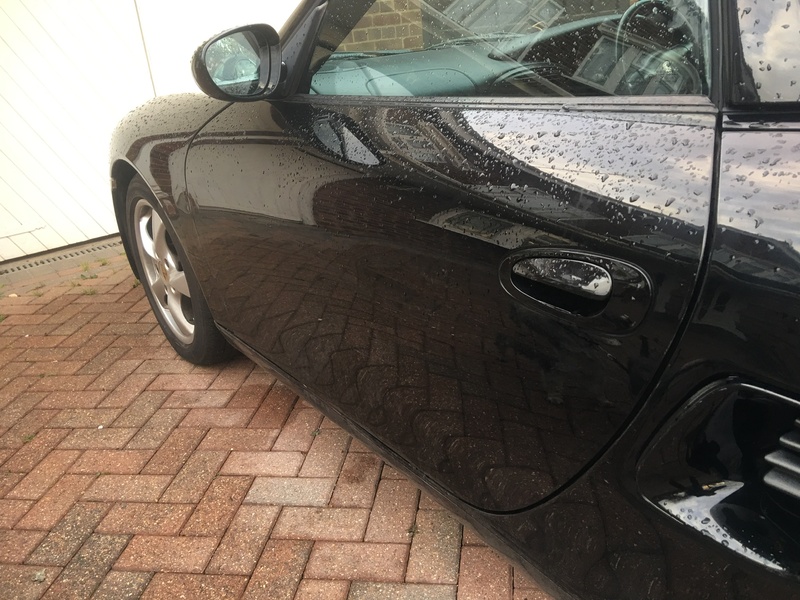 Insurance approved body shop cannot obtain a new sill stating Porsche don’t make it anymore and as the insurance work won’t allow repair to the panel it has been recorded cat s. Look at the pics to see how minor it is. Anyway neighbour has been paid out £6.5k by insurance company and I bought it off her as it is. I either want a quick sale at the price listed otherwise I’ll hold on to it and repair it myself and either sell on or keep. Could easily just be used for cheap fun (as it is) tidied up to sell for profit or keep. 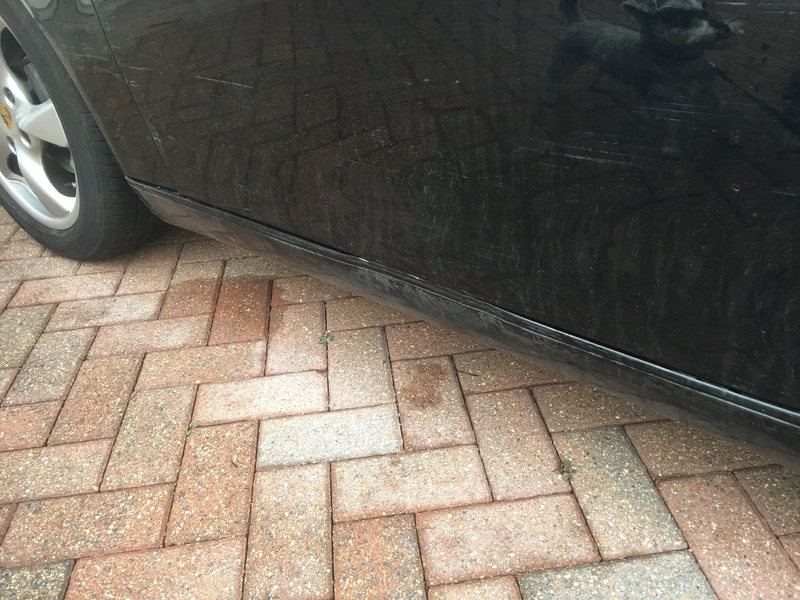 There are some other marks/ dents associated to the accident which don’t show up on the photo (best to ring me to discuss in greater detail). Jay, where are you based? Sorry- I should have said! Please note; I do not have the car yet. Although everything is 100% agreed. All going to plan I should have it early next week. Nick (from here) was first to make contact so I will let him know once it is in my possession. FYI- there is currently uncertainty if the hardtop will be included or available separately. Sold and collected by nick. - top guy, enjoy the car.